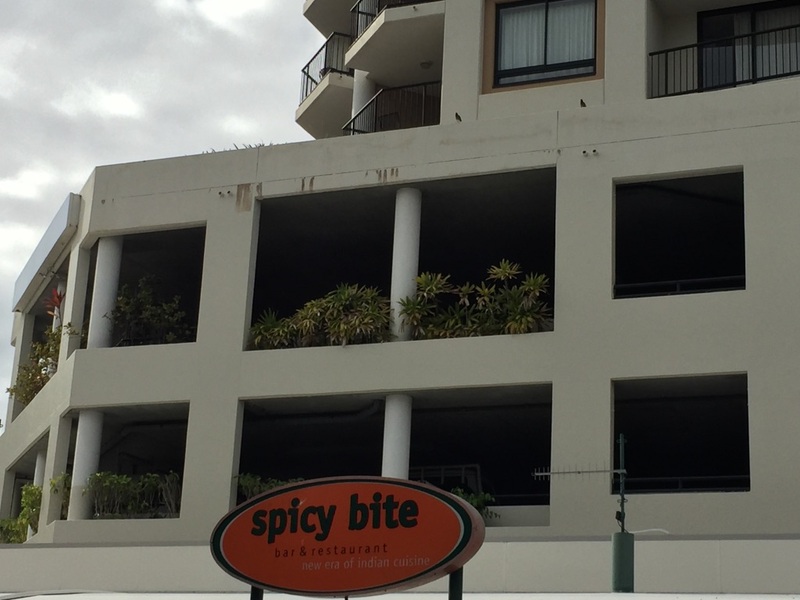 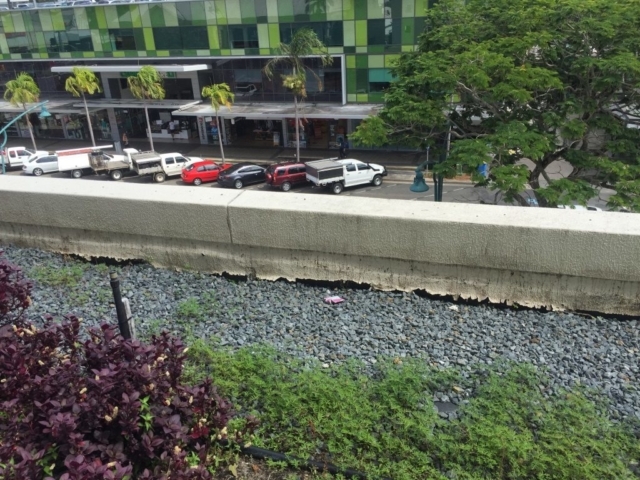 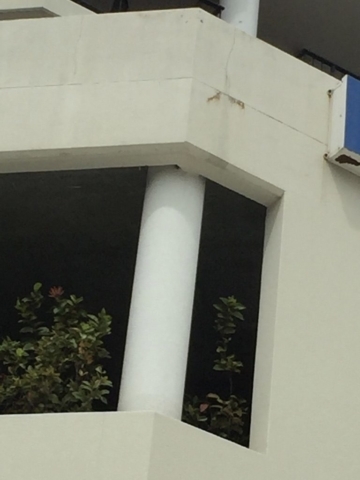 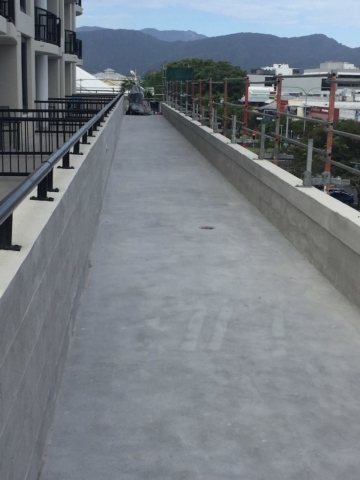 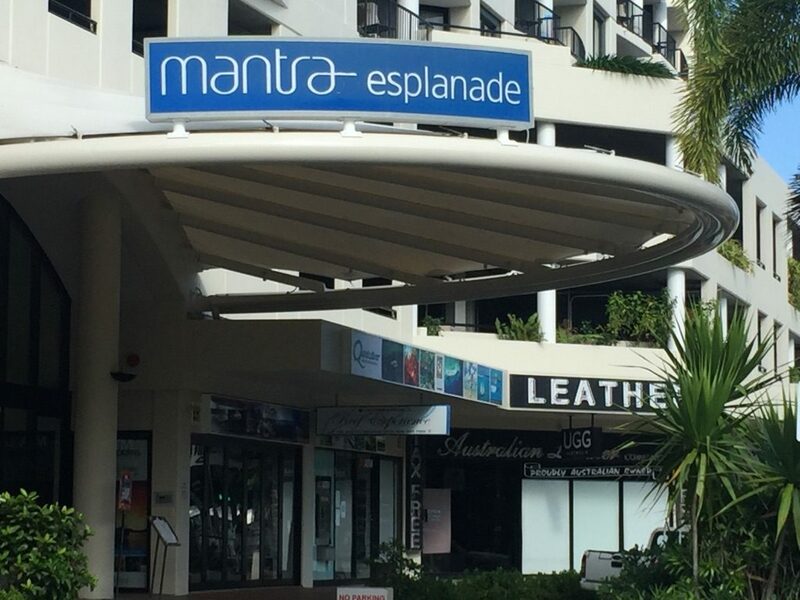 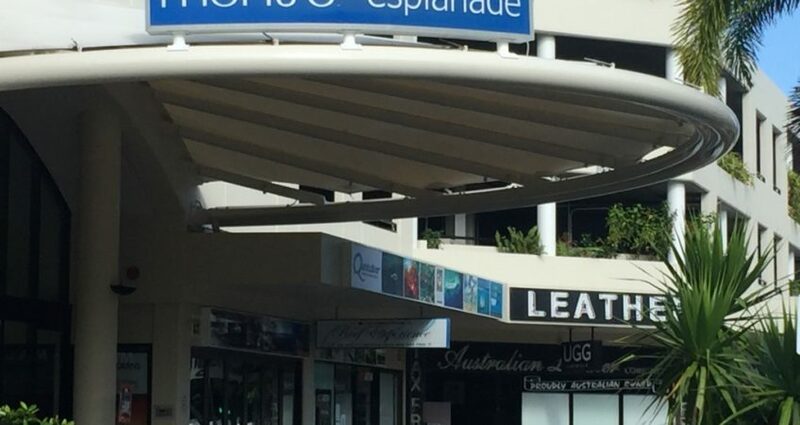 Whilst undertaking the Repaint on the Mantra Esplanade Eclat reported to the Owners that the Waterproofing in the Level 3 Planter box was failing and causing water ingress in to the concrete. 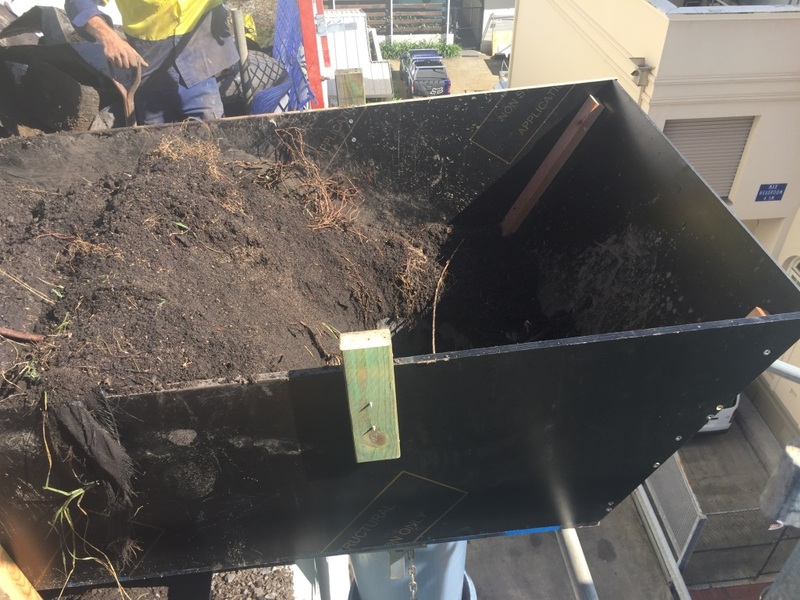 The owners decided to take action to avoid any risk of further problems from this water ingress. 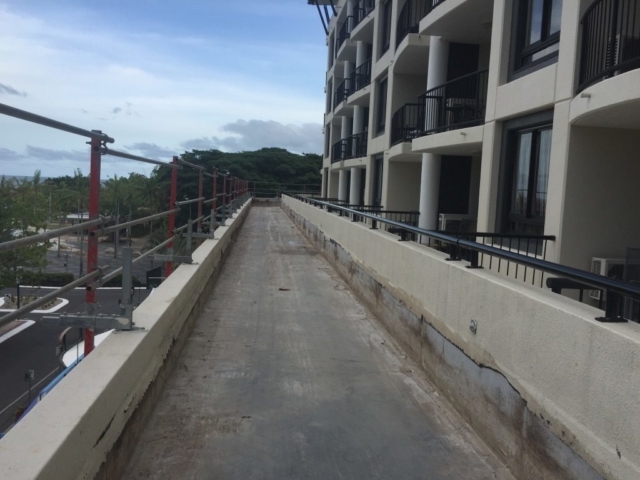 The pictures below give an overview of the Scope Of Works required to undertake such a task. 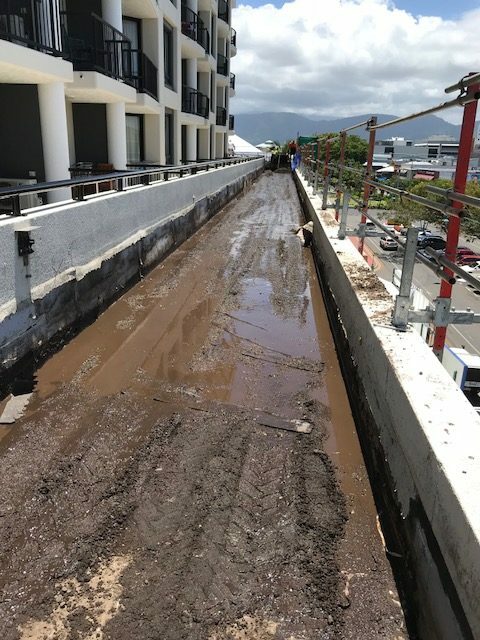 The Logistics involved in such a job as Waterproofing a large Building are a challenge in themselves. 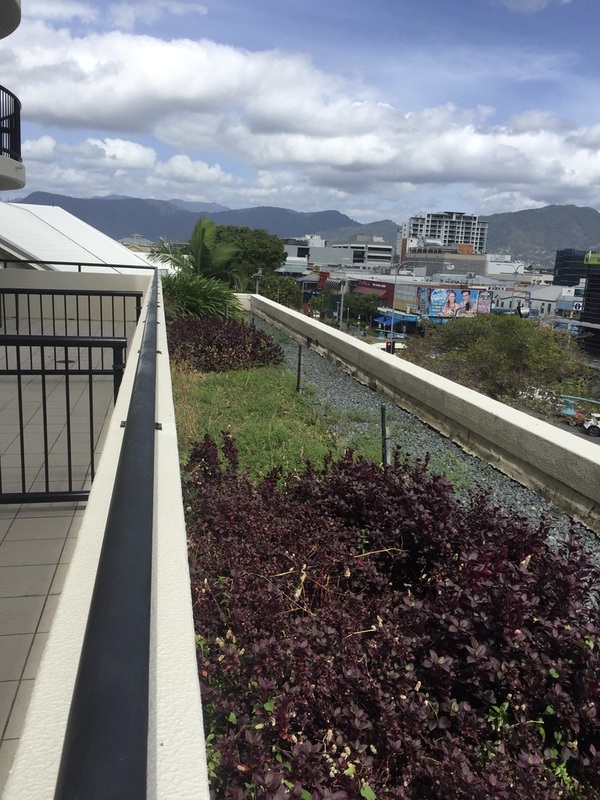 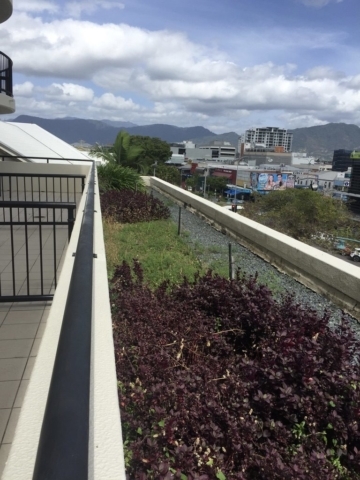 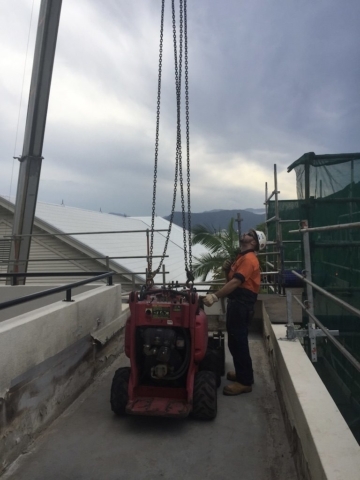 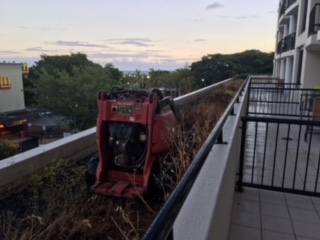 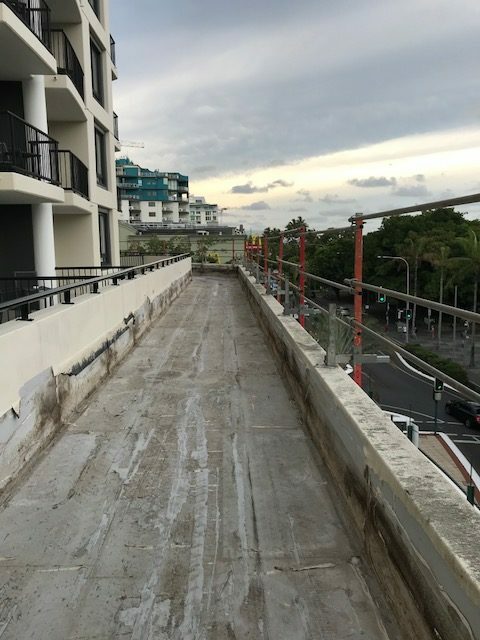 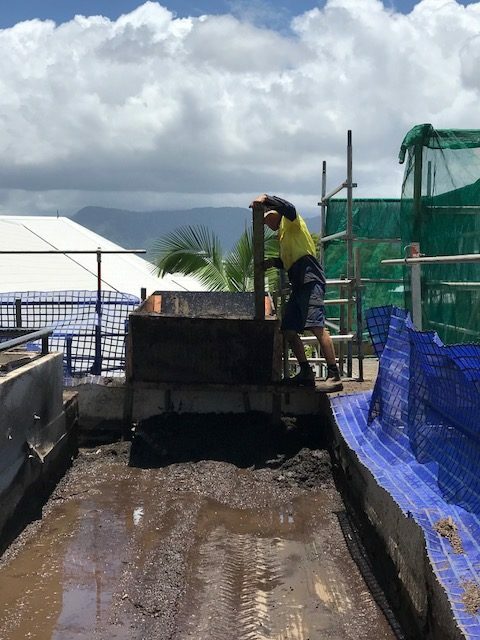 The customer wanted this job completed as soon as possible and this entailed getting this job completed over the Wet Season in 2018. Thanks to the co-operation of the Trades Eclat is on track to complete the job in the timeframe required. 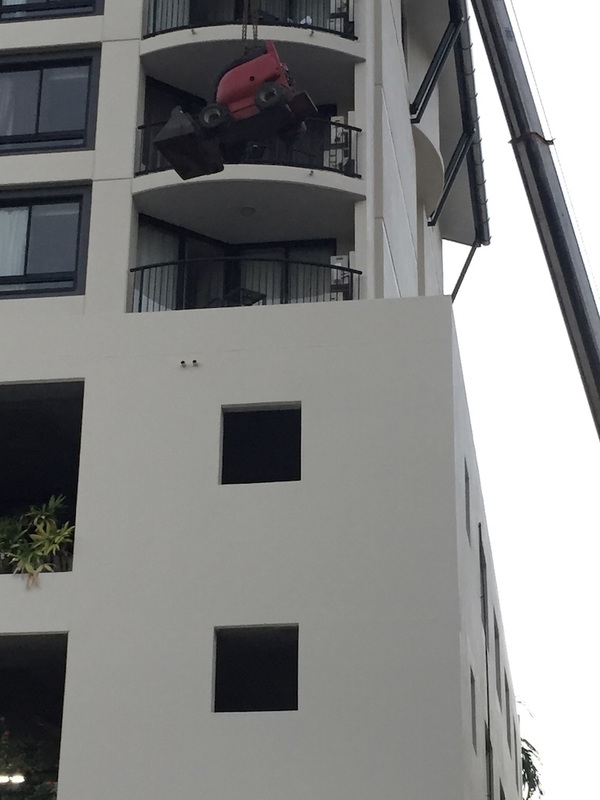 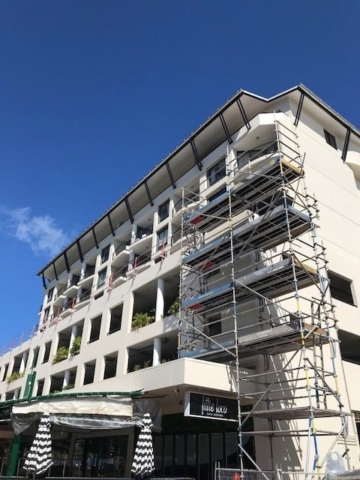 From setting up of the Scaffold and Edge Protection to ensure site safety, not only for the Tradesmen involved but the surrounding businesses, to Craning the required equipment up to begin the first phase, required the expertise only a Builder such as Eclat Building Solutions has the capacity to undertake. 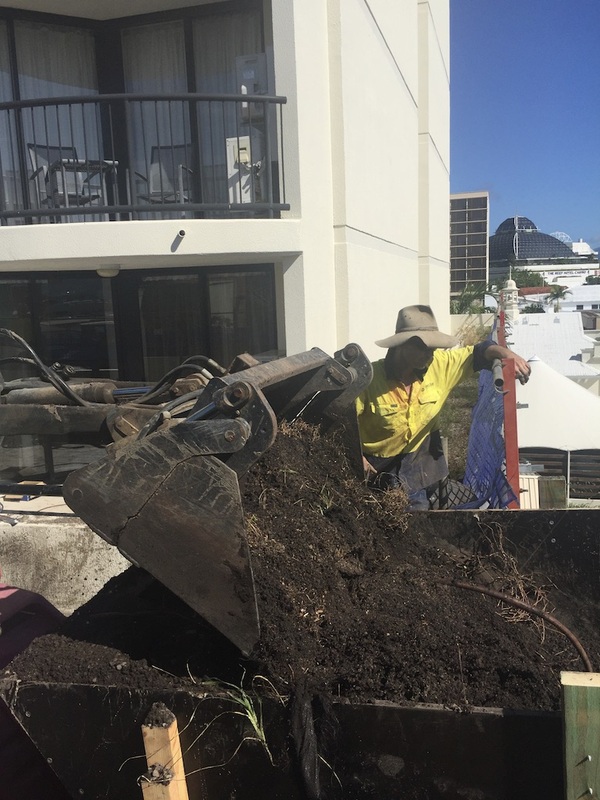 Phase one entailed the removal of over 16’000 Cubic Meters of dirt. 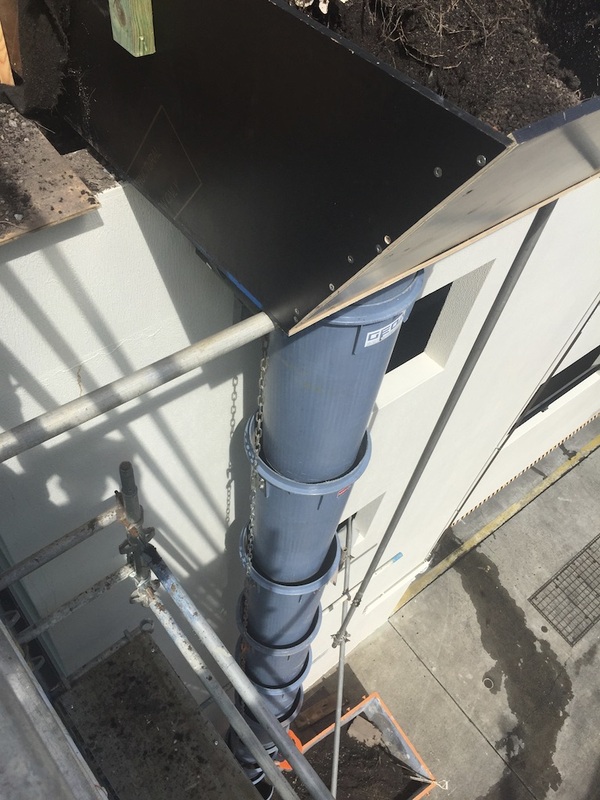 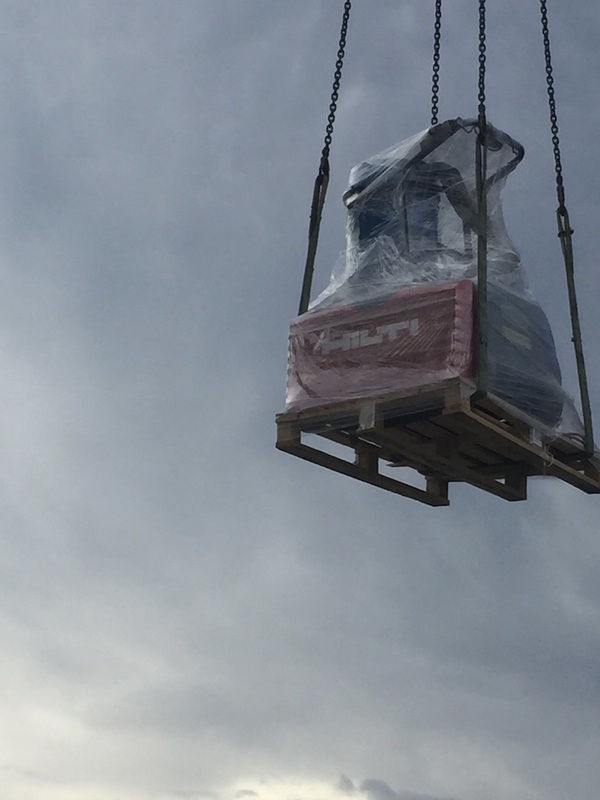 Eclat Building Solutions designed a custom chute system to allow the machinery to direct the dirt to the Ground for removal from site. After this Grinding of the failed Waterproofing began in earnest. Once the surface was prepared Elcat applied a system as Specified by the Product Manufacturers using their approved methods. The finished surface was then left for the building owners to put their own mark on this and they tell us they are going to artificially turf the area and decorate with some potted plants.